If you find yourself on the trails with your pooch more often than on the couch you’ve probably considered purchasing a dog pack yourself. 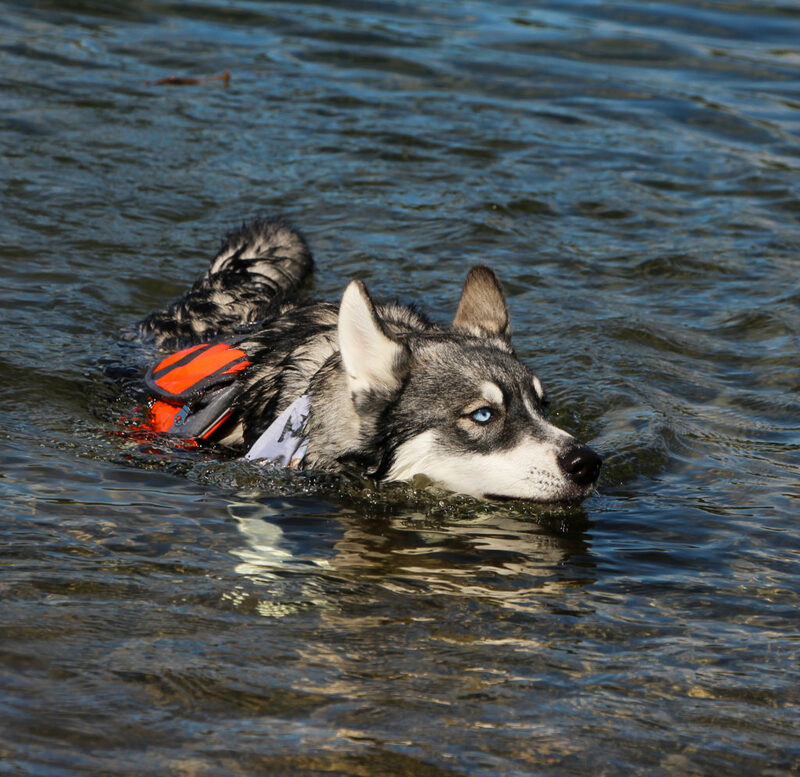 Dog packs are a great piece of gear that many active dog owners have. 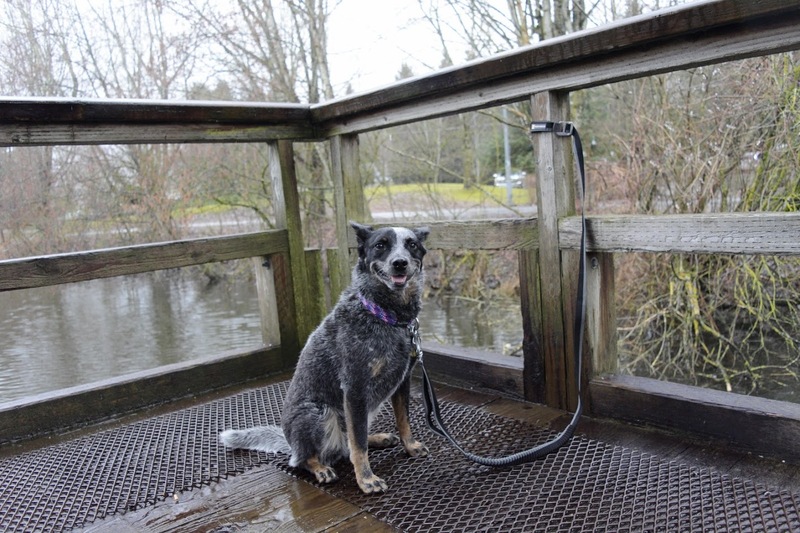 Besides the added bonus of more space to store your trail necessities, the extra weight in the pack is a great work out for our four legged friends. After a quick search on the internet in the dog pack department you were likely overwhelmed with all the options. Where to start and what to look for in a pack? If you are looking for your first dog pack we recommended the Docooler Pet Backpack. 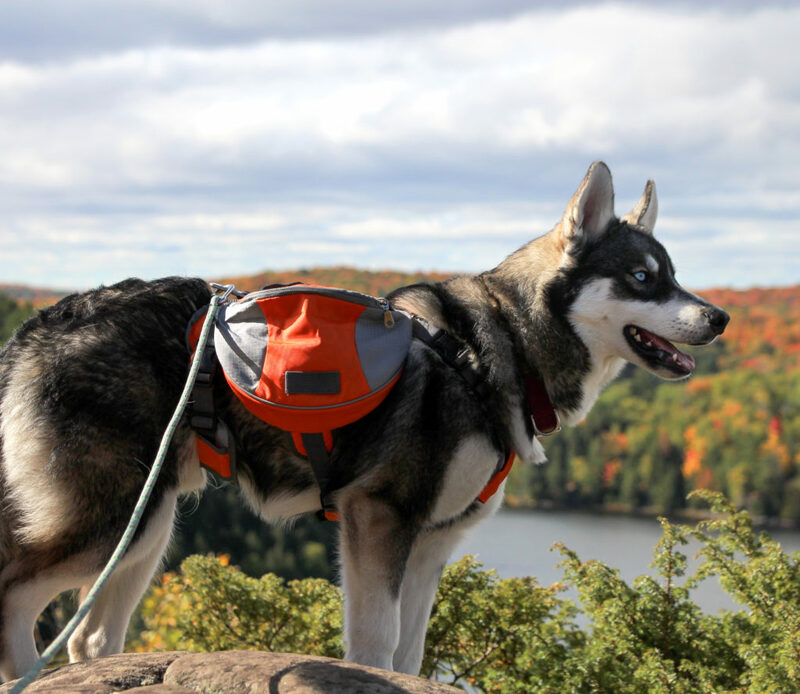 This pack surprised us in both quality and functionality; perfect for anyone looking to add a dog pack to their gear repertoire without breaking the bank. There are countless varieties of packs on the market, and before buying one you should consider what you will use it most for. We found the Docooler pack to serve as an excellent day hiking pack. We tested the orange medium size pack on Rain, our 6 month old husky. He is currently 45 lbs with a girth of 27” and he just barely still fits into his medium. This pack is available in 4 colours and three sizes, with no overlap in measurements between the sizes. Looking at the sizing chart for Rain’s weight and size he should fit into a medium… so I would recommend getting a size up as all the straps are full extended and it quite tight now. In saying that, I would have to say this pack will likely not fit bigger breeds. The pack is also not all that long in length (along the back), the medium fit Rain’s short torso well (the medium pack is about 12” long) but this pack may sit somewhat forward toward the front legs on breeds with long torsos. 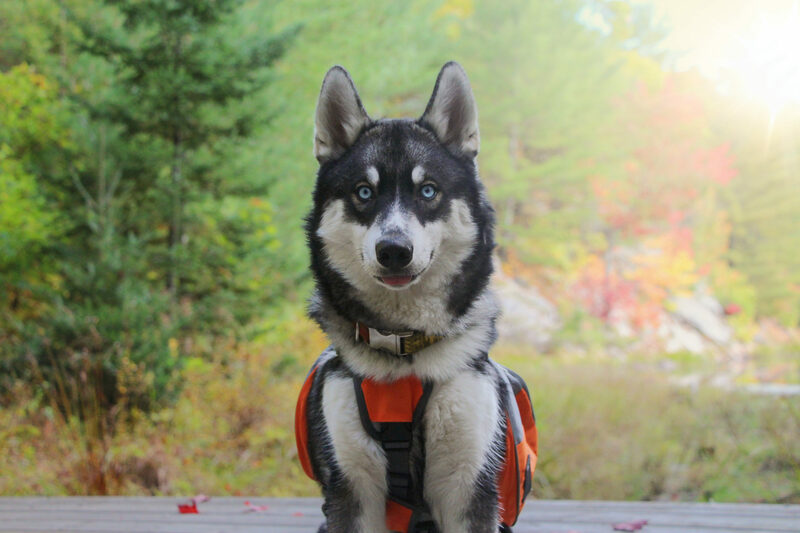 Rain carried his pack across various types of terrain during our many day hikes and two weekend camping trips. This pack saw lots of action from all day treks to the tops of mountains, rough housing with his sister River in the bush to taking a dive in at the lake (oops!). The Docooler pack has certainly held up well, after 3 months of use frequent use there are no real signs of wear. The pack is constructed from a meshed harness with two straps that go under around the girth and straps that cross the chest. 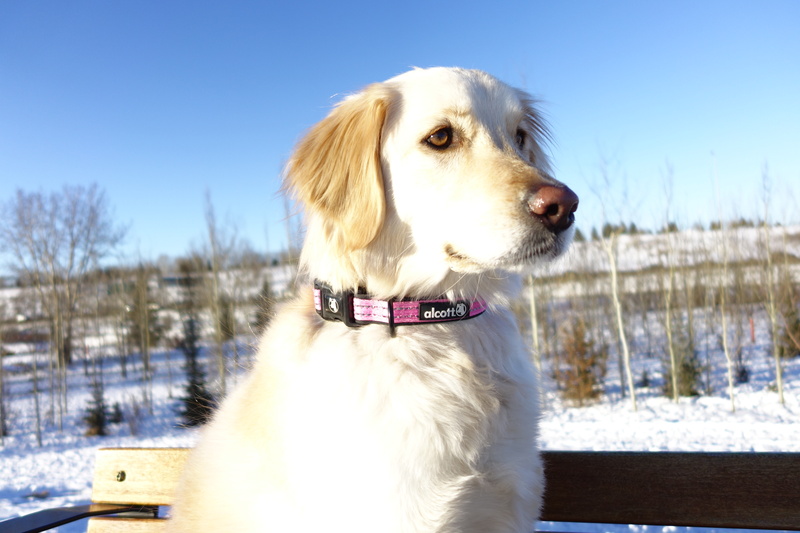 The interior (dog touching side) of the saddle bags are padded, and there is additional padding panels attached to the harness underneath the bags. The padding definitely was a big plus, especially if weight is going to be added to a dog’s pack, the pack needs to be comfortable and able to distribute weight well. I found the shape of the saddlebags to be very well designed. Their tapered shape helped the pack stay in its place while zooming around on the trails. I was pleased with the size of the bag as well. It was large enough to fit everything we needed (water bottle each side, small collapsible bowl, poo bags and some treats) yet the saddle bags didn’t seem bulky. The pack seemed to stay in place well – either loaded or empty. The saddle bag material is a water resistant material, and has double layer lining. During one of our hikes Rain decided to dive into the lake for a short swim (only submerged harness once for brief moment) and we found the bag’s contents remained fairly dry. I would imagine any long duration in water or even a heavy rainfall would penetrate the saddlebag lining. The saddle bag zipper slides easily without catching and it is still in good condition, but it does seem rather thin and I would expect that over time it may wear. There is a 1 ½” diameter D ring located at the rear end of the harness. I personally prefer the D ring to be located at the shoulder vs at the rear (or to have both options) because when your leashed dog decides to pull it is much easier to correct them from the shoulder and bring them back to your side than from the rear end. I was a bit confused to see the image of the product online showing the D ring at the front between the shoulder blades… opposite to what I got. We’ve used the handle at the top of the pack to grab Rain by during a case of the zoomies, or held him by it when he decides to throw a puppy tantrum. The handle has remained in good shape with no fraying stitches, but due to the thin material strap and meshed harness I would not trust this handle to pick up your dog. Overall I really liked the Docooler Pet Backpack. 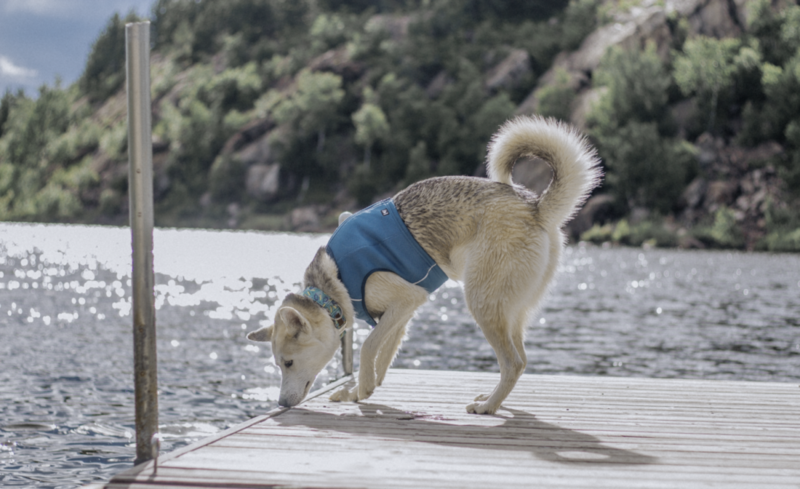 I wouldn’t compare it to a Ruffwear type dog pack as there is a significant difference in the level of quality between the two, but there are still a lot of good features to this pack considering the price. I would recommend this pack to a first type dog pack purchaser as a dog starting point to see how their dog adjust to wearing a pack before committing to a more expensive option. Or simply for someone who isn’t looking to spend a lot of money on a pack.